The name Coober Pedy conjures up images of the Australian outback, of heat, mines and, of course, opals. It’s not a name you’d normally associate with cabaret. But cabaret artist Michaela Burger takes audience to that famed Australian town, when she tells a tale that’s close to her heart. Written and performed by Burger, A Migrant’s Son is about her father, but also about the challenges faced by all migrants. Seesaw chatted with Burger about her life, work and the new show inspired by her dad. S: When did you first know that you wanted to be a performer? MB: My earliest memory is of wanting to be a performer. Perhaps I was three or four. I have sung since I could talk and always knew that my life would be in the arts. S: Tell us about your training – formal, on-the-job or both? MB: My initial training was as an actor, when I was very young and still at school. Next I studied for a Bachelor of Music, majoring in classical voice, at the Adelaide Conservatorium of Music, for three years. I then furthered my studies in London at the Mountview Academy of Music for one year, where I obtained a Masters in Musical Theatre. But in saying all of this, I do believe that most of what I have learnt to date has been on the job – especially observing other incredible artists with whom I have been lucky enough to work. MB: The freedom with working hours. I love the fact that I can go visit my friends at 3pm on a Tuesday afternoon for a cup of tea… or that my husband and I can go on holiday whenever we want for as long as we want (granted I don’t have shows). This freedom makes up for the fact that I don’t get holiday pay! MB: I have just returned from a season at Southbank Centre London, with Rumpelstiltskin – a co-production of Windmill Theatre Company and State Theatre Company of South Australia. It was a total thrill to perform 30 shows in an auditorium with 900 seats! I feel so fortunate to have had this opportunity and will never forget it. 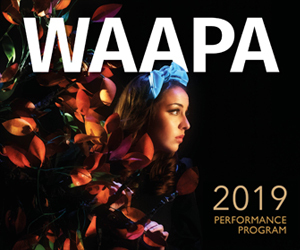 Another highlight was being nominated for a Helpmann Academy Award, along with my co-writer and colleague Greg Wain, for our show Exposing Edith. MB: It’s hard to pinpoint one moment. Each time something goes wrong on stage, I find it quite hilarious and find that that’s where the joy is – in the mistakes! The audience has no idea what is happening, and for us performers it’s a moment of togetherness that binds us and gives us the feeling of being in it as a team. It is these moments that pull us out when we are feeling like it’s impossible to continue. S: This is your second time at Fringe World. What drew you back? MB: I LOVE Fringe World. Last year we worked with Jay Emmanuel at St Georges Cathedral and had the support of Ali Welburn from Limelight Consulting, and I honestly think that it’s because of their generosity and support that I have decided to return. Without them, it would be a hard slog. The show explores one of the most colourful times in Australian history, the arrival of the Greeks! Brought to life through original compositions, a live musician and a community choir led by Carol Young, this unique and touching account is both hard-hitting and hilarious. The show tells the story of a poor Greek migrant, my dad, who defied all odds and rose above adversity. From deliveries for the family bakery at age seven to opal mines in Coober Pedy, he is an unstoppable force willing to sacrifice everything for family. MB: Definitely a swing! I still stop at a playground if I see a swing and have a swing! A Migrant’s Son plays at Upper Burt Hall, Cathedral Square, 13 – 16 February. Pictured top is Michaela Burger in “A Migrant’s Son”. Photo: Anne-Laure Marie.